This story by Savannah Koplon originally appeared on the University of Alabama at Birmingham’s UAB News website. 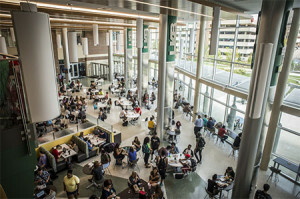 Enrollment at the University of Alabama at Birmingham, bolstered by record recruitment and retention gains, increased by 1,202 students year-over-year to a record-high 19,535 for the fall 2016 semester, including a 24.7 percent increase in the freshman class. The 6.56 percent increase in the student population from 2015 to 2016 is significant at a time when many universities across the nation struggle with declines. Every school, as well as the Honors College and College of Arts and Sciences, grew this semester, and Barnes says this is just the beginning. 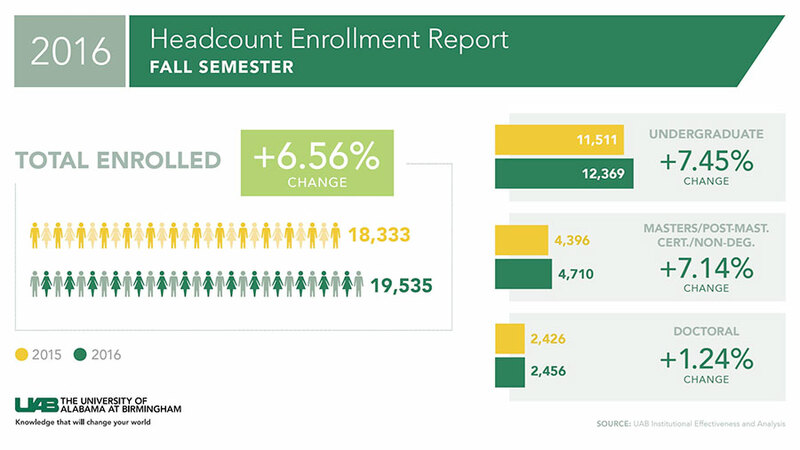 UAB President Ray L. Watts says these are the kinds of results envisioned when he established enrollment as a strategic priority and set a goal to have 20,000 students enrolled by 2018. Watts says Enrollment Management has done a tremendous job, and they did not do it alone. Watts and Barnes also cite aggressive improvements the Information Technology team is making to the information infrastructure; unique programs faculty and staff are creating that prepare students for success in the real world; campus beautification efforts and new state-of-the-art buildings like the Hill Student Center the Facilities team continues to bring online; the unprecedented investment in UAB’s success from community leaders, fans and alumni; statistics that show the UAB Police Department has helped make UAB among the safest universities in the state; and continued support for aggressive growth from the System Office and Board of Trustees. 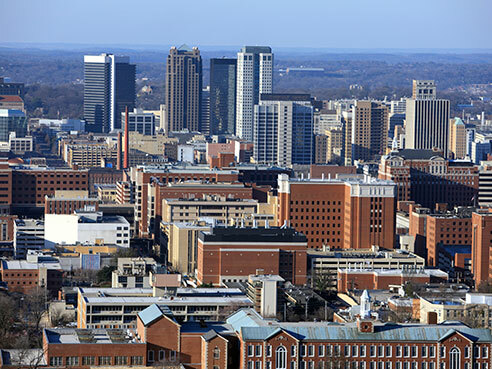 UAB is the largest single employer in Alabama, has a $5 billion annual economic impact in the state and spans more than 100 city blocks — roughly a quarter of downtown Birmingham. UAB welcomed its most accomplished freshman class to campus last year, with an average composite ACT of 25 and GPA of 3.66. 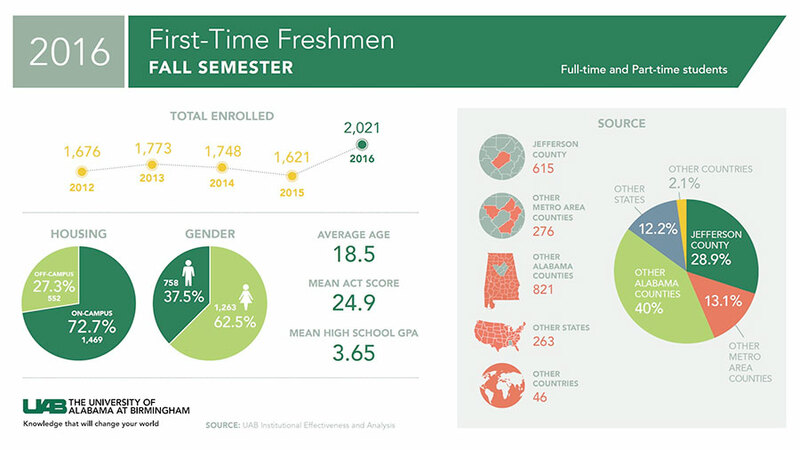 At the same time overall enrollment increased this year, UAB remained consistent with last year’s record high-achieving freshmen with an average ACT of 24.9 and GPA of 3.65 in 2016. Freshmen with a 4.0 or higher GPA represented 29.6 percent of the freshman class, an increase from last year’s 28 percent. Also, 17.6 percent of the freshman class had an ACT score of 30 or higher. After the early success in retention rates of Blazing Start students, enrollment increased 229 percent in that program, growing to 92 students from 28 the previous year. The UAB Honors College — which recently produced UAB’s third Rhodes Scholar (more than any other university in the state since year 2000) — enrolled its largest-ever freshman class of 502 honors students. Those students average a 4.08 high school GPA and 30.3 ACT, to bring the college to a record-high total enrollment of 1,540 honors students. 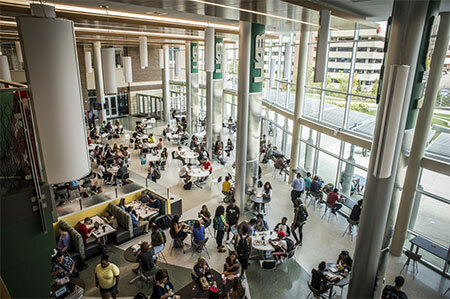 After a 24.7 percent year-over-year increase to 2,021, the incoming freshman class is the largest in UAB history. The previous high-water mark of 1,773 was accomplished in 2013. The undergraduate student population also increased roughly 7.5 percent. 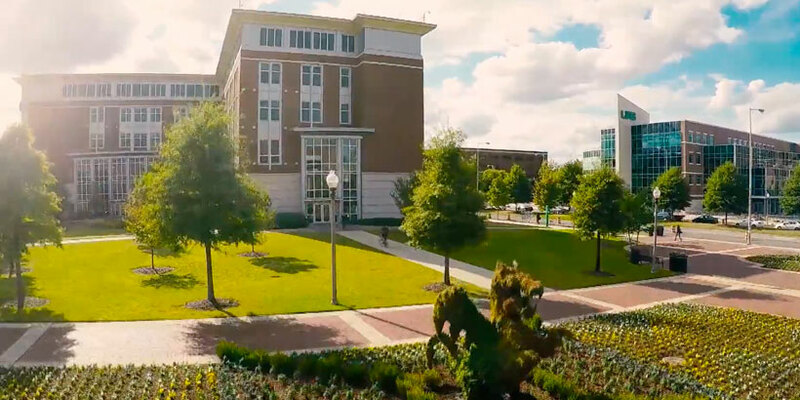 UAB invested in additional Enrollment Management staff, including a bigger presence in Alabama and four regional recruiters in strategic markets across the country. Overall retention increased by a rate of 3.1 percent from 78.7 to 81.8 percent in 2016, a key indicator of student support and success that factors heavily into the semester’s record enrollment. UAB awarded 4,522 degrees this year — more than any previous year, which exceeds the milestone of 140,000 in the institution’s history, a trend Lucas says is another area of positive momentum on which she plans to build. UAB is committed to ensuring opportunities for qualified in-state applicants, and the student body has 662 more in-state students in 2016 than 2015. Over the last few years, UAB has increased outreach to public school students around the state and launched many initiatives to enhance access, including Blazing Start, the Woodlawn Early College Initiative, GEAR UP, and the two-year college Joint Admissions and transfer agreement initiatives. In December 2015, UAB launched a strategic partnership with INTO, a private global educational company working with 22 leading universities across the world to expand opportunities for higher education, ensuring international student success and achieving globally diverse and integrated campus communities. By the fifth year of the partnership, it is estimated that more than 700 international students will have enrolled through the new joint venture. Diversity is a longstanding core UAB value, with “rich diversity” appearing in the first line of the alma mater. The institution has been recognized by the Princeton Review for diversity, and UAB continues to be one of the most diverse universities in the nation; 37.8 percent of the student body is minority, and minority students make up 43.7 percent of the freshman class. Students enrolled at UAB now represent 105 countries. The student population is 21.4 percent black and 61.1 percent female. Students who transferred to UAB increased 17.8 percent in the fall semester year-over-year, from 1,357 in 2015 to 1,598 in 2016. In 2013, UAB launched its Joint Admission program with several two-year colleges to increase access to UAB and opportunities for students. The Joint Admission program provides automatic acceptance to UAB and a $2,000/year scholarship for students who earn an associate degree at participating institutions. It also allows students in the program to access UAB amenities and resources while enrolled in community college. In 2016, UAB instituted a reverse transfer agreement that enables credits earned by students at UAB to count toward an associate degree at Jefferson State. Barnes’ team is on the front lines of interaction with potential students. Prospects, he says, are choosing UAB for many reasons, including unique programs, new state-of-the-art facilities, world-renowned faculty, unprecedented excitement in Athletics, undergraduate research opportunities other schools cannot offer, and economic value, among others. Another consistent theme is the value of Birmingham to UAB students. “Our city’s resurgence and growth continue to bring new amenities and create internship and service learning opportunities unparalleled in Alabama,” Barnes said. “Students have access to resources on and off campus that add to their college experience and career preparation. In a truly mutually beneficial relationship, increases in UAB’s student population create wins for the Birmingham region. The influx of students brings diversity, new ideas and promise, and exposes more young adults to the building excitement surrounding Birmingham’s continued growth while boosting the local economy. 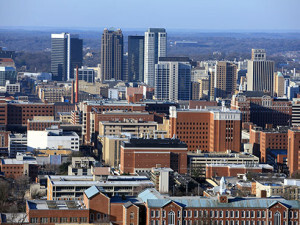 UAB was once considered a commuter school, but now more than 72 percent of the record freshman class lives on campus. UAB Vice President of Student Affairs John Jones and his team have been working to implement and enhance programs that build on opportunities for a first-class student experience. Access additional enrollment statistics online on the UAB Institutional Effectiveness website.